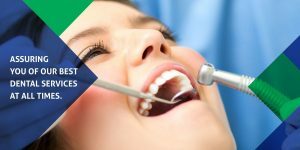 If you are having pain in your tooth, feeling swelling in your gum line or at worse having headache and throat pain due to this, then you are suffering from tooth infection for which Root canal treatment is the ultimate solution. The root canal basically refers to the natural cavity filled in the center of your tooth and the tooth nerve system lies in the root canal. When the nerve tissues get damaged, they invite bacteria to home in that infects the whole tooth system and hence you get pain, swelling, and bleeding. To get rid of all these problems, root canal treatment is necessary. To repair the damaged or infected tooth, root canal treatment is necessary through which the damaged tissues are removed (commonly known as pulp) and the area is disinfected so that other tooth may not get affected with the infection, and finally the void (empty space from where the pulp is removed) is filled and sealed. The treatment is really worth for those who have severe gum-infection or cavity problem and the best part is that the root canal treatment is not so time consuming. You can have this treatment in multiple visits as well. Are you eligible for the treatment? Well, if you are having problem while chewing or eating something, feel acute pain in your tooth or gum-line, suffering from dental sensitivity, getting your tooth dark in colour or having swelling in your gums; then you must visit your dentist for the root canal treatment. But to moving forward for the treatment, one must make sure that he or she is not suffering from hypertension, diabetes, fever, osteoporosis, any autoimmune disease or taking blood thinning medications as in such cases, it gets the treatment and healing process difficult and risky. So beware of these conditions before going for the root canal treatment. The X-Ray- The first step to the process of root canal treatment is to examine and locate the area where the tooth is damaged or infected. Numbing the area- Once it is marked where the tooth is damaged or infected, the dentists start the treatment by numbing the area and then put a rubber sheet around the area to be assured that the area is dry. Hole- By drilling a hole in the infected tooth, all the pulp is extracted that carries bacteria along with itself. Tiny files are also used to scrape away the area. To wash out the debris, sodium hypochlorite or water is also used. Sealing- After cleaning and drying the area, dentists seal it with suitable sealing materials to get it infected again by bacteria. Temporary filling- If the treatment is not completed in a single process, then the dentist may fill the hole with a temporary filling so that food or saliva may not get infused in the void space. The permanent filling is done by using a material known as gutta-purcha, a tough material made from the latex of some trees. Crowning the tooth- The last step is to place the crowing on the damaged or infected tooth as a safeguard to avoid getting it broken. With this, the damaged tooth have a time to regain its functionality. Although the treatment is standard yet there are always some chances of having side effects due to improper process or negligence during precautions. Some cases have been listed below that are counted as the side effects of the treatment. Experiences a dull pain after the treatment for more than a week that happens in some cases when bacteria remain inside the pulp and is dangerous as you can get infected again. Sometimes a minor crack is left in the process of sealing that is sufficient to welcome the bacteria again. So make sure that the tooth or place is sealed properly. There are cases in which it is seen that the crown was loose and hence allowed bacteria to home in. one must immediately get the dislodged crown be fixed by the dentist. Apart from all the points mentioned above, if the material used to seal the tooth is not of a fine quality, it may quickly create a crack or void in the area and hence the bacteria will again get inside it. So make sure this may not happen. What you should do after Treatment? Form a habit of regular brushing and flossing. Avoid taking any food or drink just after the treatment as being the area numb, you may accidently bite your tongue or inner flesh. Avoid crunchy and hard food for few days. If swelling occurs, get it checked by your dentist immediately. Once the process is completely done, it may usually take around two to three days to recover excluding some severe cases in which people may take a span of one or few weeks according to the complexity of the case. But is most cases people get relieve in within a week once their permanent crown is fixed. Yes of course! There is an alternative to the process of root canal treatment and that is tooth extraction. In this process the tooth which is damaged or infected is completely removed from its cavity. The cost of root canal treatment ranges from Rs. 2000 to 3500 and the cost of crown may range from Rs. 3000 to 4000 which is not much in terms of healthy and painless teeth set.